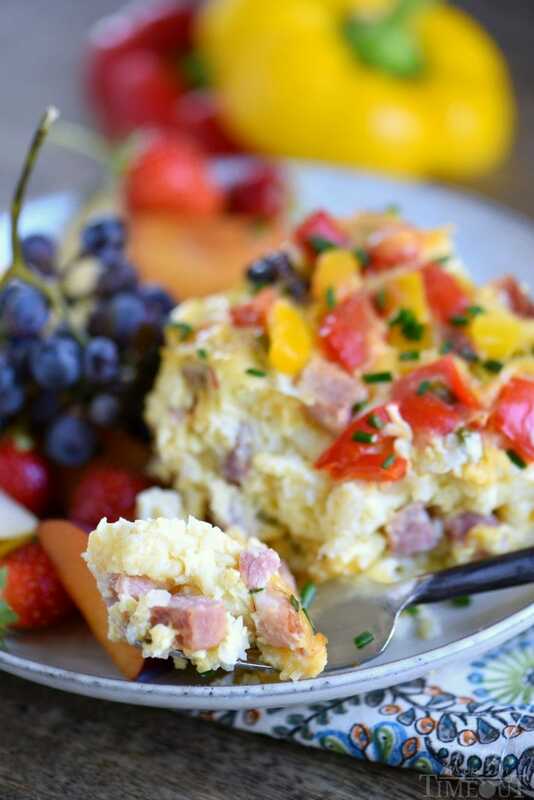 This Slow Cooker Overnight Ham and Cheese Breakfast Casserole is a great way to start your day! 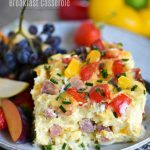 Loaded with ham, cheese, potatoes, bell peppers, and more, this casserole is perfect for busy weekday mornings, holidays, or Sunday brunch! Summer break is quickly coming to an end and we have been hustling trying to get Reece ready for the 6th grade. Apparently there are a LOT more supplies you need for 6th grade compared to 5th. Bryce is going to be in 3rd grade this year and Reece keeps telling him how easy it is compared to what he’s going to be doing. I’ve been doing a lot of shopping for backpacks, new lunch boxes, stockpiling snacks, etc. We just got Reece a new desk from IKEA this past week that made his room look all too grown-up. That being said, he loves it and has it all super-organized and ready for school which makes me happy. Of course, they’re not all grown-up yet. Just this morning Reece and Bryce insisted they couldn’t finish their juice because they saw a fly pee into it. Both cups apparently. I told Chris and he said, “I hate it when that happens.” Yep. It’s not all about lunches for school season though. For me it’s about starting the day right with an awesome breakfast. 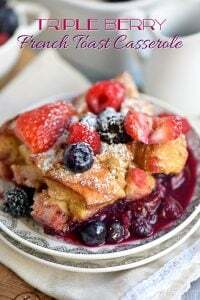 I’ve got a plethora of terrific breakfast recipes here on Mom On Timeout but my favorites are those I can make ahead of time, especially overnight. 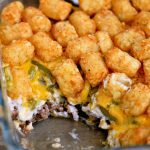 I was trying to come up with some new breakfast recipes for the school year and this breakfast casserole popped into my mind. 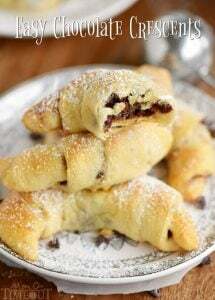 It’s the recipe that my sister calls me for every Christmas and it makes a regular appearance at Easter too. I decided to turn it into a slow cooker overnight recipe. I mean, that’s a win-win if you ask me. 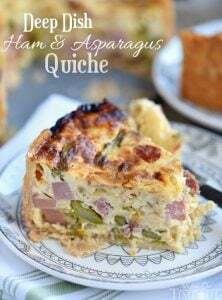 Now I made this one with ham but really any protein will work here or you could go all veggies and just load it up. Asparagus, broccoli, whatever you have on hand. 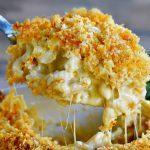 I used Almond Breeze Unsweetened Original Almondmilk and, should you like, you can use dairy-free cheese to make this recipe completely dairy-free. A plate filled with some fruit from our garden (plums, pears, strawberries, apples, and grapes) really makes one heck of a breakfast and my kids devoured it in minutes. 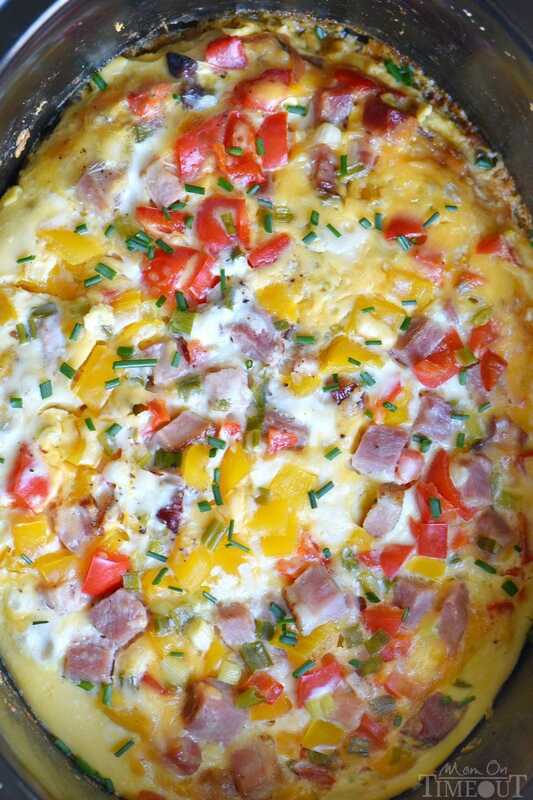 I’d like to point out that while this is a breakfast casserole, the fact that it takes 8 hours to cook means it’s perfect for dinner as well. 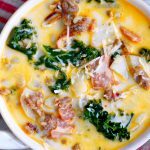 Whether you’re using my favorite Disney Pixar slow cooker (seen in the video below) or even better, if you have a slow cooker that has a timer, this recipe is perfect for breakfast or dinner. I always get asked so I’m leaving the link here to the Disney Pixar Slow Cooker I used in this recipe. My kids love it and so do I! And here’s a link to the beaker measuring set – great for liquids! 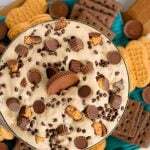 In a large bowl, combine the eggs and almondmilk and whisk to combine. 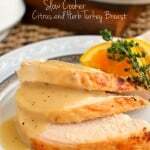 Generously spray a 6 qt slow cooker with cooking spray or use a slow cooker liner. Layer half of the frozen hash browns, half of the diced ham, half of the diced bell peppers, half of the green onions, and half of the shredded cheese remembering to season with salt and pepper as you go. Repeat with remaining half of ingredients. Please remember to season each layer. 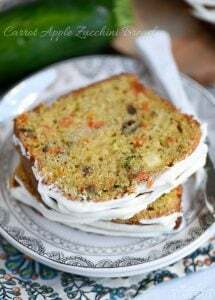 There is a lot of veggies in there so use slightly more than you think you should. 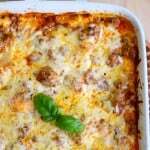 Dairy-free cheese can be substituted for a completely dairy-free recipe. 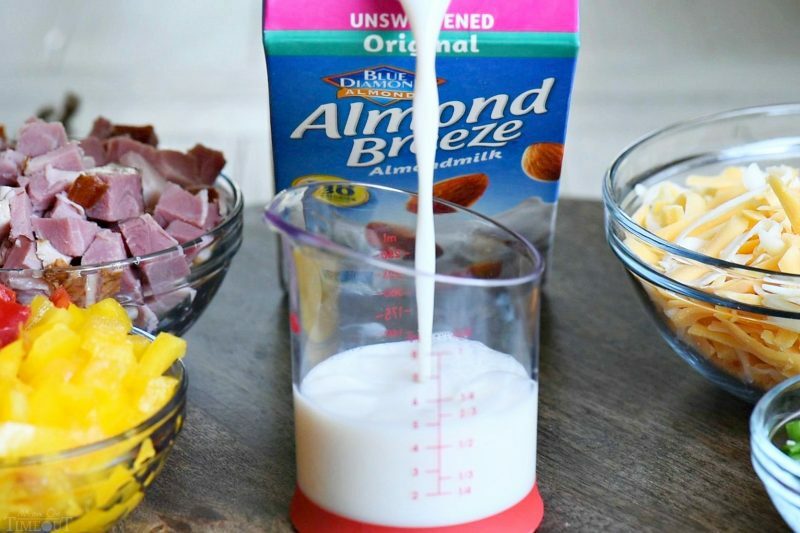 This sounds yummy can you use regular 2% or whole milk instead of almond milk? Yes, that will work Shauney! 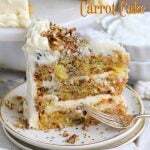 Really good recipe! 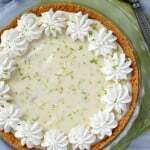 We tried it last weekend with family and they loved it and we plan to make it again when we have friends over during the holidays. Was curious if you’ve tried it with salsa and/or green chilies before and how that turned out? Just curious how it would change it…if it would still be good? Finally a breakfast that LITERALLY cooks itself. Trish, you’re a genius! 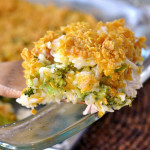 I need a casserole like this for the first day of school! Oh my! 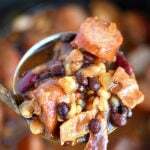 I love what you can do in a slow cooker! This looks delicious! 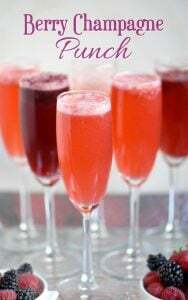 I love the idea of making it overnight too, makes the morning so much easier! 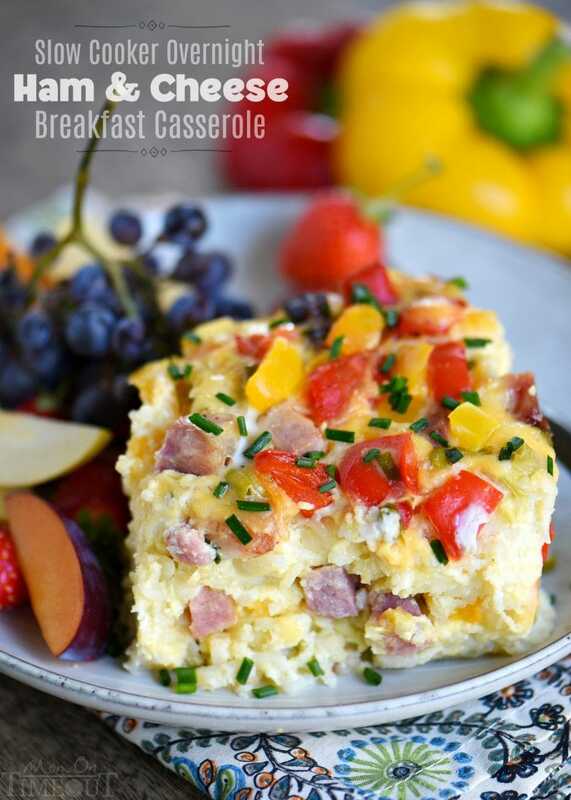 I love the convenience of overnight breakfast casseroles! 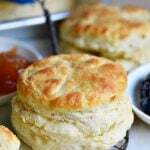 So easy to bake it in the morning and enjoy! This is just in time for the weekend. My family will devour it!